we offer a range of design services for HOMEOWNERS, architects and DEVELOPERS focused on elevating experience of SPACE through careful curation of materials, fixtures and furnishings. 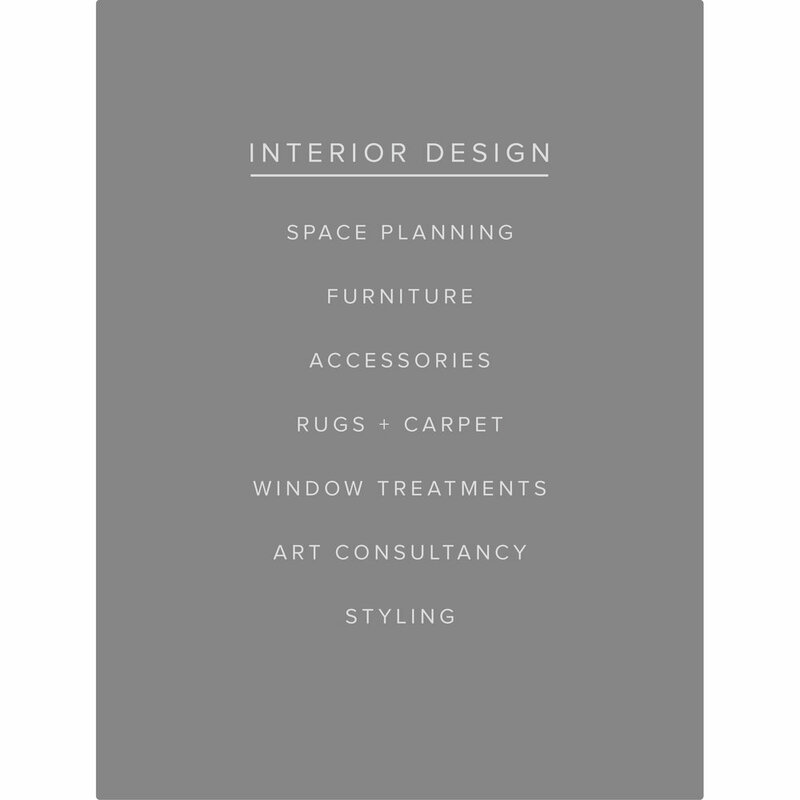 this service IS BROADLY INTENDED FOR THOSE THAT NEED SOME HELP GETTING THE 'LOOK' OF A PROJECT RIGHT, BUT are NOT in need of FULL-SERVICE INTERIOR DESIGN. THIS SERVICE ESTABLISHES THE GENERAL AESTHETIC OF A PROJECT BY ADDRESSING THOSE MATERIALS PERMANENTLY ATTACHED AND INSTALLED. THIS SERVICE ultimately YIELDS MATERIAL SAMPLES of all hardsurfaces specified AND a comprehensive list of SOURCE VENDOR CONTACTS resulting from TWO ROUNDS OF DESIGN REVISIONS. this ADDITIONAL service is IDEAL for those looking for a COMPREHESIVE design PACKAGE FOR A RESIDENCE, COMMERCIAL BUILD-OUT OR MIXED-USE DEVELOPMENT PROJECT. THIS IS AN EXTENSION OF SERVICE A AND IS FOCUSED more ACUTELY on PROJECT DETAILS. this phase addresses all project lighting and hardware specifics, again ultimately yielding a list of FIXTURE AND HARDWARE specifications WITH source vendor contacts upon completion. THIS personalized SERVICE DEVELOPS A PROJECT FROM CONCEPT Through COMPLETION and is realized collaboratively with client and construction team. detailed digital design boards with floor plans, reference imagery and material samples supplement periodic in-person meetings and serve as the working framework upon which a project is realized. our office internally COORDINATES all sourcing and PROCUREMENT and directly manages the production of all custom furniturE FOR THE PROJECT.